Four months into 2012, Andrea and I finally lined for the same race this morning. 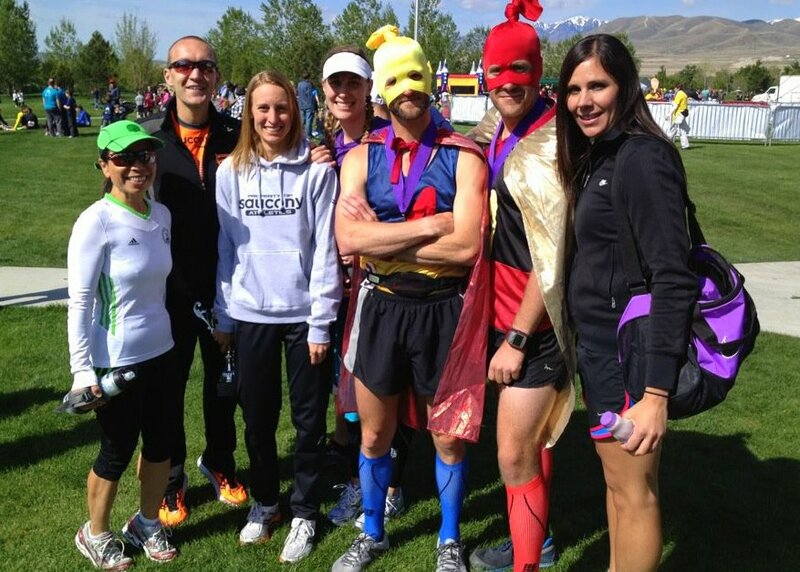 Earlier this week, sort of on a whim, we decided to head down to Utah County for the Thanksgiving Point Half Marathon. Since we've both had big races recently (Boston for me and SLC for Andrea) the plan was to run it at marathon pace. We both did just that - Andrea ran 1:24:15 (winning the race!) and I ran 1:10:58 (for 4th place). I'm really glad we ran this race, because it was a super-fun morning and one of the coolest courses we have ever run on - it was a mix of road racing, cross country, and a very advanced level of Mario Kart! 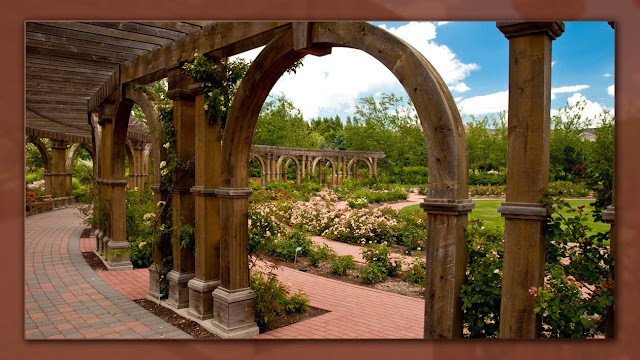 :-) The race took us through the gardens, tunnels, over bridges, all over the golf course, etc. It was a unique event and we would definitely recommend checking this one out next year! The post race festivities are right in the complex and there is a ton of fun stuff to do for families and kids. Despite being a "complex" route, the course was very well marked and the race organization was fantastic. They had a big stage for the awards ceremony, which was especially cool for all the younger guys and gals who ran in the kids race - they all were very excited to get called up to the stage! 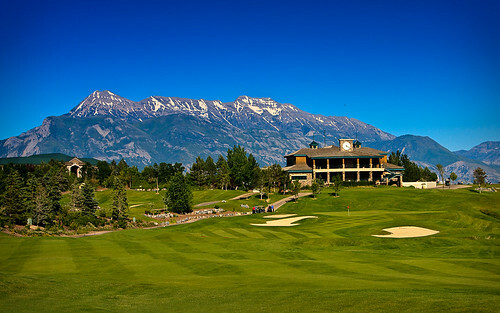 Thanksgiving Point is a really neat place in general - check them out on their facebook page. 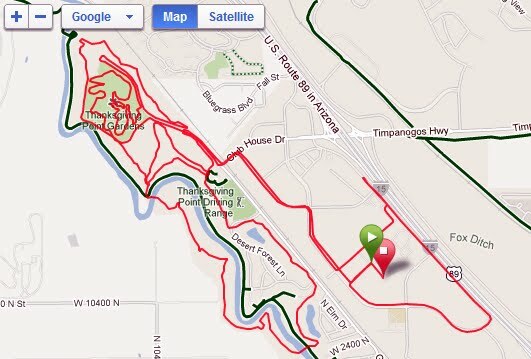 The course map from my Garmin. It wound all over the place! The golf course part of the route was all rolling hills and sharp turns. It was like a XC style race! Congrats! Tulips are my favorite this is beautiful.